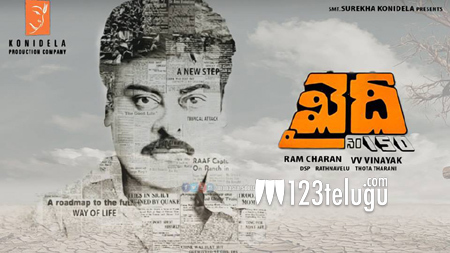 After a long wait, Chiranjeevi’s 150th film has been officially titled Khiladi No. 150. The film is being directed by VV Vinayak while Ram Charan Tej is bankrolling the flick. The first look poster has been revealed earlier today, and it is trending on the social media network already. The ultra stylish poster is being received well by fans and movie lovers alike. The film is an official remake of Vijay’s Kaththi.